"This is a major policy announcement with far-reaching consequences for foreign policy and internal defense-related power dynamics," Abedin wrote. "If implemented properly, Heidari's proposed modernization policy would not only radically alter Iranian defense doctrine, but just as importantly, it would also reverse the army's subservient relationship to the Islamic Revolutionary Guard Corps (IRGC)." The disclosure comes as "no surprise to anyone who studied Iran" and should have been anticipated by the Obama administration, which largely sought to downplay the importance of giving Iran billions in cash resources, Rubin said. "First, there's history: Between 1998 and 2005, European Union trade with Iran more than doubled and the price of oil quintupled," Rubin explained. "Iran took that hard currency windfall and invested the bulk of it in its nuclear and missile programs. The person coordinating Iran's strategy? 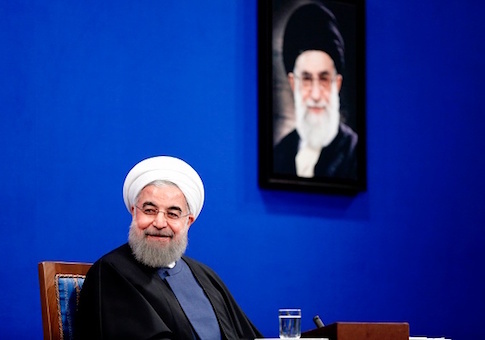 Hassan Rouhani who was at the time secretary of Iran's Supreme National Security Council." "Obama and Kerry might as well have wired the money directly into the accounts of those seeking to enhance Iran's military, kill Sunnis, or sponsor terrorism," Rubin said. "This is certainly grounds for concern," the source said. "An Iranian military buildup coupled with an offensive posture is a threat to the United States and our allies. This also serves as an important reminder of why the Obama administration's cash infusion to Iran was so dangerous." The cash windfall provided by the United States and European countries is "fungible and hence can be used for everything from sponsoring terror proxies to developing ballistic missiles," the source warned. "Congress will continue to take action to counter Iranian terrorism and ensure this regime never acquires a nuclear weapon." Iran's military announcement has already sparked a renewed push on Capitol Hill to reimpose economic sanctions on Iran. "The Iranians know that the party will end this fall, when Congress will pass bipartisan legislation that begins to roll back Iran's military growth," one senior congressional adviser working on the sanctions effort told the Free Beacon. "The Obama administration avoided any serious action for years, and so Iran kept growing its arsenal and using it against our allies, against Syrian civilians, and increasingly against our military," said the source. "Now they're rushing to accomplish as much as they can before Congress and the Trump administration get around to reversing Obama's policies."